October had been pretty full on and it's not been full of Halloween once. In fact, I've been more concerned with Christmas coming up than Halloween. This October, I've been to London quite a few times for some events and I've had a week away up in Norfolk. In between all the travelling to places and events, I've been seeing my bestie, being a busy bee and also attending a wedding. You might have seen that earlier on this month, I blogged about attending Pandora's Disney #DOSeeTheMagic launch event at their store and Westminster Bridge. It was a lot of fun and I'm adding a Pandora bangle to my wishlist. It was so much fun and I felt so priviliged to attend, and I couldn't be more grateful to have been there with so many amazing people. Instead of rambling on about it here though you can always go to that post to find out more about that day here. 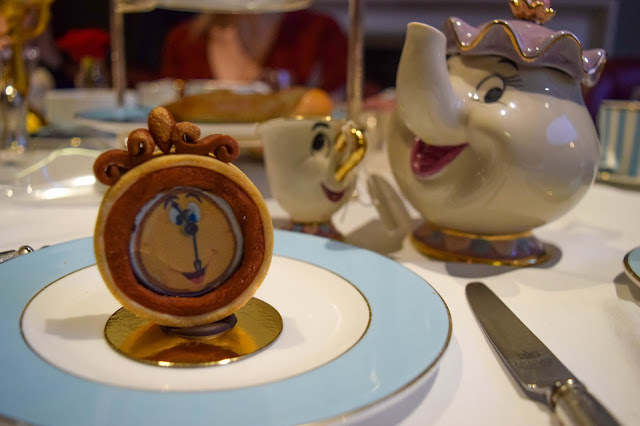 And on the back of attending the launch event, I was extremely lucky to be invited along to the Tale As Old As Time afternoon tea at the Kensington Hotel to continue promoting the new Disney collection. Going to this afternoon tea was one of those thing you'd love to do but didn't think you'd ever do so I was extremely excited about this. I really enjoyed it and ate so many delicious treats and drank so much tea. But again, you can find out all about that day in this post! A few weeks after a busy couple of weeks with events and working, I was ready for my break away with my amazing boyfriend John. We'd booked a week away in Norfolk to refresh ourselves and just be together. It's our last break away before some big things happening for us so we wanted to really lap it up. We stayed in a caravan along this beautiful coast and visited a few of our favourite places. We took one day to visit Norwich where we browsed the shopping centre, took in sights and visited the market. I ended up buying an 80s vintage skirt I'm sure you'll see soon from a lovely antiques and vintage shop. It made me wish we had more of those near us. We also went to Great Yarmouth for a day where we played arcade games, got competitive and ended up winning enough tickets to get one of those cinema box lights! I love going to Great Yarmouth, it really is one of my favourite places and I think simply because John and I have so many memories there. The other days we spent enjoying time together and relaxing. It was so nice to be away from everything for a little bit and not think about anything. It really did us wonders and we came back feeling refreshed and ready to take on reality again. Though a really busy month, I did take some down time for myself. I took some time to bullet journal, I coloured in some of my colouring books and I got my nails done twice actually. The first time they were black and silver and the second, this gorgeous light pink. I did have to do them again myself because I messed them up, but I kept them pink. This November, I'm looking forward to a couple of things. I have an event I may go to that is quite exciting mid-month, I'm definitely going to start Christmas shopping and I feel like I'm going to get Christmas Crafty too! I can't wait! What are you going to get up to this November?